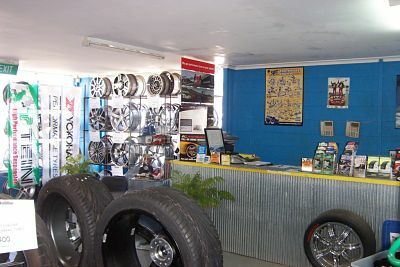 Bendigo Tyre Centre is an independently run business, specialising in tyres, wheels, suspension and wheel alignments. Bendigo Tyre Centre has gained a strong reputation for offering unbiased advice, quality products at the right price and an understanding of what you want to suit your vehicle and driving style. Our showroom and workshop is conveniently located in Wood Street, Long Gully, directly opposite Champions Supa IGA. Our showroom consists of a large display of the latest in alloy wheels, suspension products, tyres and motorsport products. 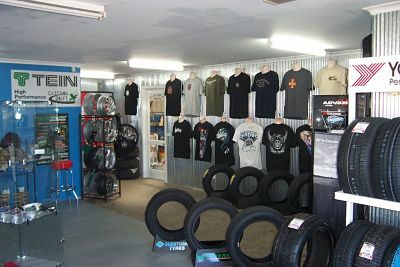 Bendigo Tyre Centre specialises in motorsport preparation and performance products. With years of experience working for some of the biggest race teams, state and club level competitors and high-performance car enthusiasts, we have an understanding of giving you the best product to suit your budget to improve your driving experience or just simply to make you go faster! Payments accepted – cash, EFTPOS, Visa, Mastercard, Diners, American Express. We also do work for various fleet companies including SG Fleet, ALP (Automotive Lease Packaging) and NLC. We also have interest free terms available through Once Credit Pty. Ltd. ABN 99 112 319 632. Australian Credit Licence Number 386194. 4.Then visit us. Please ensure you bring along the “welcome confirmation” email, and a form of identification e.g. your current driver’s licence, to complete your purchase.